This is RUGBY LEAGUE we are talking about here, its ALL top secret , they dont want anyone to know just in case they turn up to watch the match ?? ha ha ha ha and what a price , its a joke , and thats a starting price , yes they are hoping the prawn cocktail brigade want this one , and NOT a rugby league fan. You forgot to say when the auction is ??? i may want to put a bid in at that price ?? good Luck , hope it comes off , and you all enjoy the ride . . . .
typical of The Rugby Football League , its taken them well over 100 years to get where they are now , so why hurry. does that pic and 2,347 mean that there were that many in the bar at Toronto ???? as you dont give any explanation really about the post ???? hello Peter sent you an E Mail a week ago now did you get it ??? I was hoping to see and read about this , but cant even fathom out whos in Elite1 never mind a list of whos in Elite 2 , as i dont speak french apart from wee-wee, Parlez Vous Francais and ouvre la porte, any list that could be provided would be gratefully received. 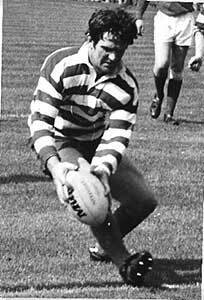 Also anyone know whatever happened to the Cavalion team that played Salford at The Willows in the 60's was it u ?